We are looking for a creative and innovative graphic design intern for 2014. If you think you have what it takes to design for SA’s biggest pop-up retail event, read the competition page from October’s HOME and TUIS magazines below to find out how you could win a six month contract worth R30 000, as well as priceless experience. 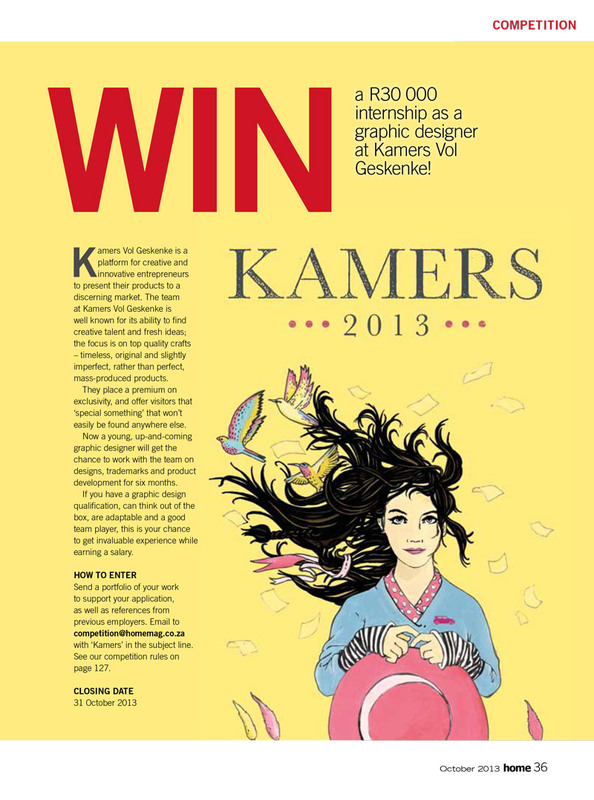 Tags: designer, graphic design, graphic designer, HOME, internship, KAMERS 2014, prize, TUIS, win. Bookmark the permalink.